OLD PARKED CARS. 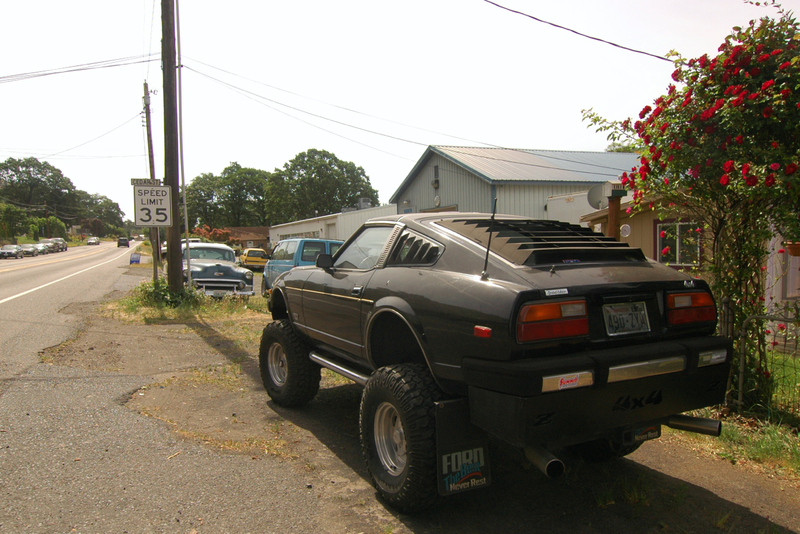 : 1981 Datsun 280ZX 4x4. wow that's actually pretty cool, and it looks like it's pretty well put together. 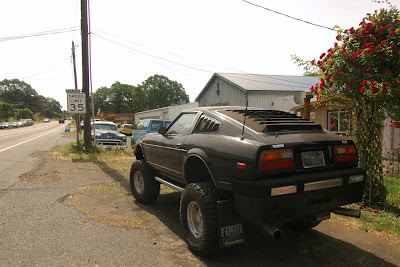 never really liked the look of the 280zx as opposed to the z but I can say that this is 280zx I would love to have minus the auto zone badging. I dig those louvers too. Damn, that's cool as hell. a huge parade of these conversions ranging from hearses, firetrucks, to Pacers and Pintos. 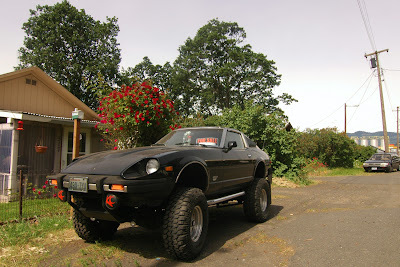 us, and I thought that it was going to squash our Chevy Cavelier with my wife and I inside it! time I see one of these, I wonder just what I'll be seeing next. Its a very nice and pretty car. I would like to have such a car. The car is remarkable. What I find more intriguing is the idea that someone would be so different from me that they would A) conceive this idea, B) take the initiative to bring it to fruition. Have you ever taken on a project? Much less, something as far-out as this. Every time I take on a project, almost no matter what it is, it takes about four times as long and costs four times as much as my original worst-case estimate. This project must have many surprises and imposed a requirement for significant creativity back-yard engineering. I can't conceive of wanting to do it but my hat is off to someone who could bring this off. Amazing, mind-blowing, crazy, odd and eccentric. This is folk art of a high order. Keep-em coming, guys. Wonderful stuff. So what were they asking for it... I gotta know. 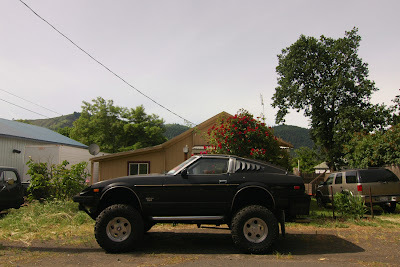 The quintessential Sports Utility Vehicle?